Q - How do I create an Apple ID for someone under 13 years old? How do I create an Apple ID for someone under 13 years old? Ensure Family Sharing has been setup with a Debit or Credit Card added as the Payment Method. 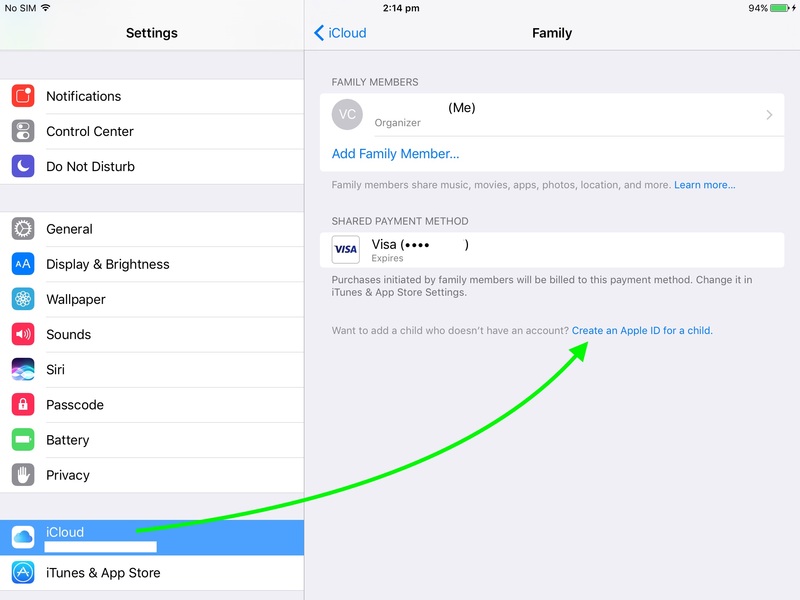 On an Organiser's device, open the Settings application and tap iCloud > Family > Create an Apple ID for a child. For more information on this process, refer to the link below by Apple.